When most people think about washing and waxing their cars, they think in terms of the car’s appearance. A clean car certainly looks better than a dirty car, and people view clear cars are nicer and more expensive than dirty cars. However, there are some additional benefits. Here are a few reasons why washing and waxing your car should be viewed as essential maintenance. Dirt generally seems inert; it doesn’t burn or sting, and it seems to wash away easily. However, dirt is actually made of up many different chemicals, and some of these chemical can cause damage to your car. Over time, dirt can erode your paint and leave permanent marks on your car. 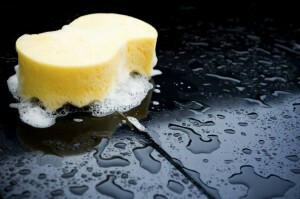 Washing your car removes this dirt, and waxing it helps prevent its buildup and keeps you paint safe. As bad as dirt can be, it pales in comparison to bugs. Squashed bugs are unavoidable during the warm months, and those who live by lovebugs will find their cars constantly coated. In a fairly short period of time, the acidic contents of these bugs can eat through the outer coating of your paint and cause corrosion. Bugs should be washed away regularly to avoid this damage. Rust is caused by water that comes into contact with metal parts of your car, and you can keep metal safe with regular washings to keep your paint intact. Wax plays a crucial role as well. Tiny chips in your paint are vulnerable to rust, and waxing helps keep them covered. Rust can be difficult to remove, so the best course of action is to keep it from forming in the first place. Fortunately, a bit of work can go a long way toward keeping your car safe.